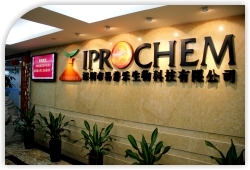 IPROCHEM COMPANY LIMITED was founded in 2004, which is reformed from a state-owned enterprise.Now it has become a shareholder company and the whole staff owns shares. With the development of 13 years, it is the first company in China, which has very important position in the plant crop protection product supply chain management. The turnover has reached into RMB 800 millions every year since 2009 and its customers spread over 100 countries. IPROCHEM has registered 5 oversea branch companies and has managed to get some certificates and registrations in these countries. IPROCHEM has the courage to business creation and dare to try something new. It is endeavored to become a Chinese oversea company. It changed its mode of business and started to register oversea companies,for instance Ukraine, Russia, Vietnam, Malaysia, and India. It has registered some products with its own brands. At the same time, it also invested in a formulation factory in Vietnam. For ensuring the quality of exported products, IPROCHEM cooperated with DVA to set up an international certified research and testing center in Shanghai. We are proud to say that IPROCHEM has the biggest and most professional customer services team in China. About Us | Contact Us | HR | 备案编号：粤ICP备15058721号-1 © IPROCHEM All Rights Reserved.